Bids are generally accepted until late February / early March, with a preferred announcement date of early March – early April. USA Rugby is open to being both the sole host of the event and working a revenue-sharing agreement with a local committee. Starting in 2018, seeding is determined by the principle that “every region shall receive at least 1 seed – but all other seeds should be determined by performance of each region.” The 7s working group met at the 2017 Club 7s National Championship and proposed there (later verified by wider discussion) that all seeds be determined ‘blind’ by criteria spanning over 3 years. It was felt that 3 years was the best period of judgment, as it minimized the potential of outliers who only performed well once, without going too far back so as to judge events where no current players would have participated. Pool play for each division will be 3 matches per team on Saturday. The knockout rounds will be contested on Sunday, and will also provide 3 matches per team as the event ranks teams 1-16. USA Rugby endeavors to provide 2 hours rest between matches, as is the standard on the World Rugby Sevens Series, though some knockout matches may see as little as 80-100 minutes’ rest between games if the schedule/venue dictates it as such. 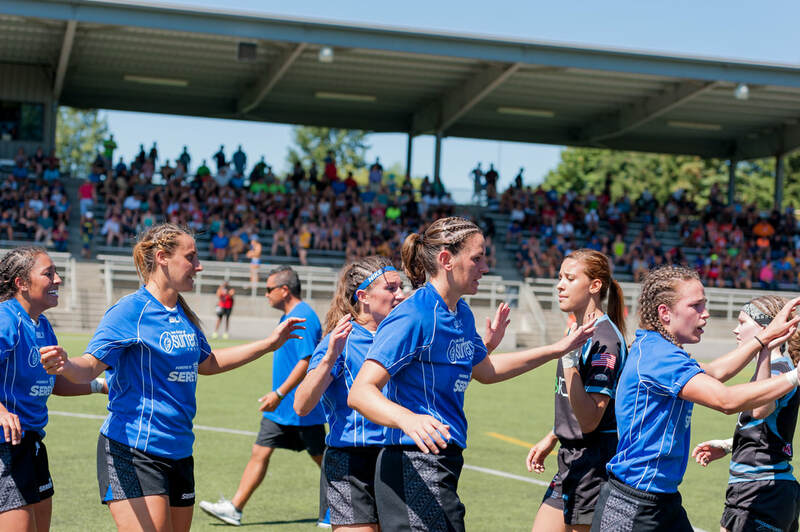 The USA Rugby Club 7s National Championship event will always provide men’s and women’s teams with equal access to fields at the venue (including equal share of time in the main stadium), and equal access to all warm-up areas, athletes village space, etc. #herrugbycounts at Club 7s. USA Rugby believes that rugby is #bettertogether, and is committed to scheduling the men’s and women’s competitions the same at the Club 7s National Championship event. USA Rugby celebrates Emil Signes for his monumental influence in the growth and development of Rugby 7s for the men and women of the United States of America. An early pioneer of the 7s code, and a tireless advocate for the promotion of 7s both domestically and worldwide, Mr. Signes’s importance to Rugby 7s cannot be understated. Often referred to as “The Emperor,” Emil began coaching rugby in 1974 - coaching at all levels, and for all sexes. In his time as a coach and technical advisor, Mr. Signes accumulated 126 championships, including the successful winning of the 1999 Men’s Club 7s National Championship with Philadelphia Whitemarsh. Mr. Signes is most often known for his long-time affiliation with the 7s program he founded, Atlantis Rugby, as well as his roles as both the Men’s National 7s Team head coach from 1987 to 1990 and the Women’s National 7s Team head coach from 1996 to 2005. Perhaps most importantly, Mr. Signes also had an historic impact on the expansion of Sevens worldwide by his early advocacy of treating women with the same respect the men received. Not only was Mr. Signes the first Women’s 7s National Team coach, but he also founded the first national women’s sevens program *and* is credited with inspiring the organization of women’s Sevens tournaments internationally. Mr. Signes is beloved by a large network of former players and coaches – including many players who went on to become national sevens teams coaches themselves.